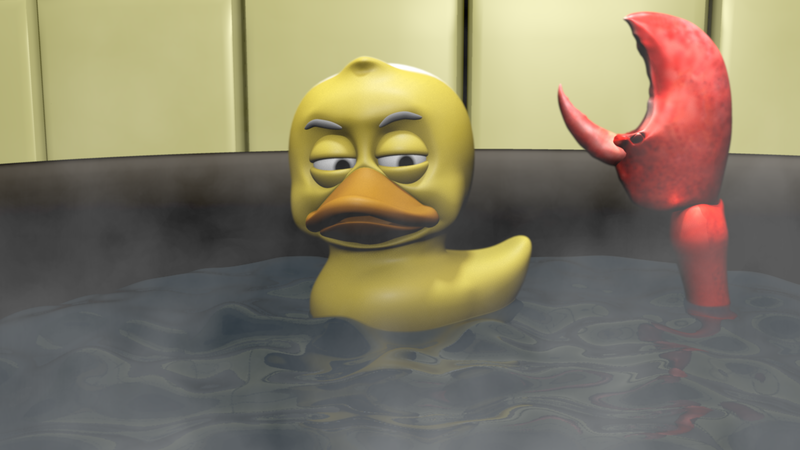 For this project, you will use Nuke to composite multiple render passes of a computer animation to create a single complete shot. 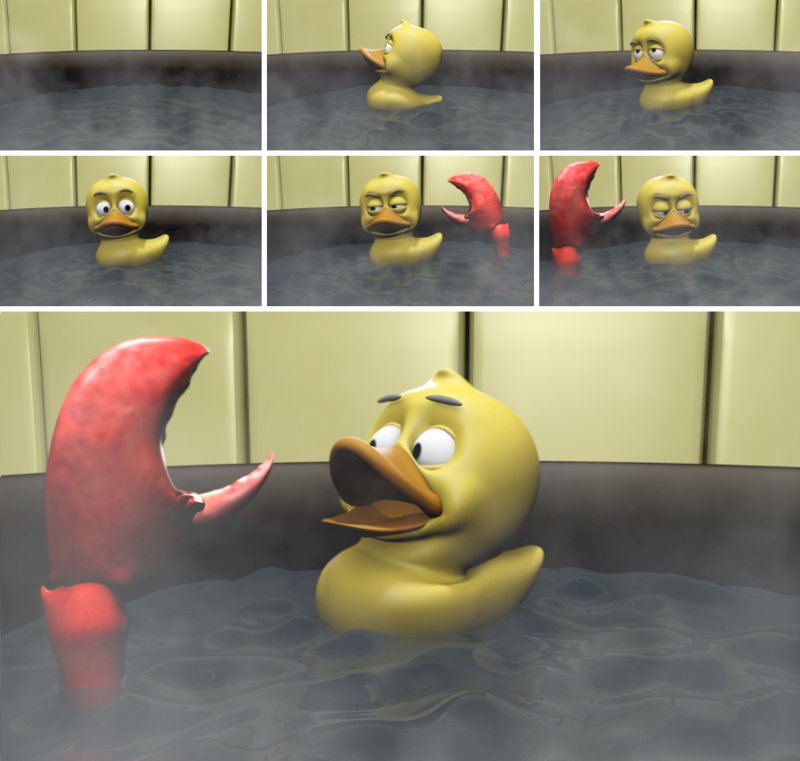 The bill pass was used to color correct the duck’s bill to be more gold/orange. The inner mouth pass was used to correct the ambient occlusion pass so that the inside of the mouth would be slightly brighter. Various elements were color corrected (i.e., claw, background tile). 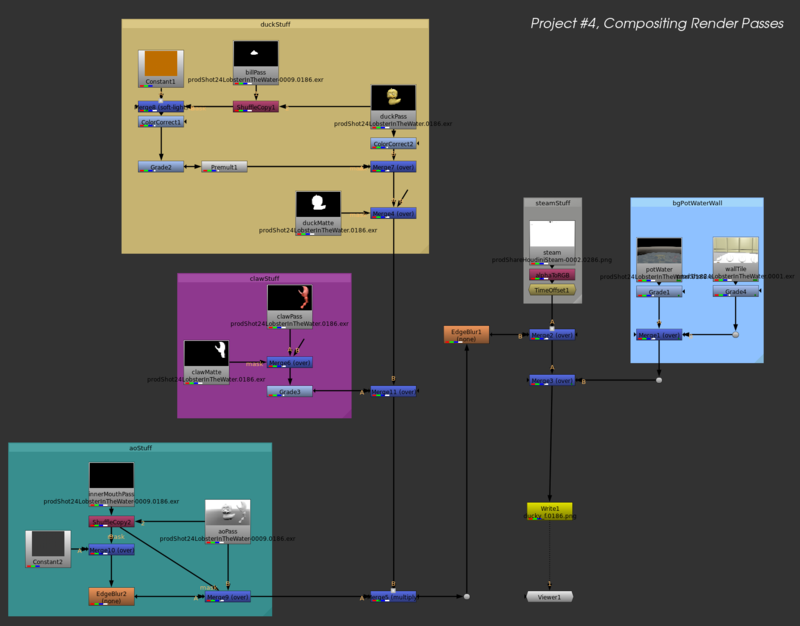 Steam pass was shuffled to switch the RGB channels with the alpha and was offsetted by -100 in order to have steam that already covered the whole scene.